Our junior section is sponsored by Stellisons Electrical. They have sponsored our juniors for many years. When you have a sponsor as good as ours, it’s great to pay them back through with good publicity both from within the club and throughout the county, which we work hard to do. 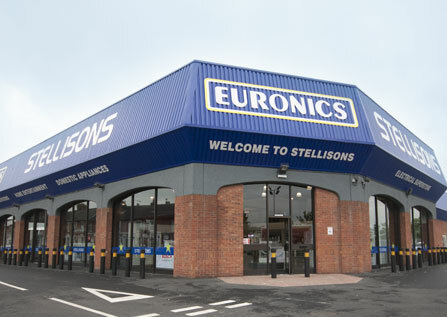 It’s also great if members make a point of using STELLISONS when purchasing electrical goods or fitting a new kitchen. Stellisons promise to beat or match any other supplier throughout Essex for price, so members are sure to be buying at the lowest price when buying from a Stellisons store. Tony Scogings was the founder of Stellisons. He sadly died in 2011. Tony started the business in 1962 with just one shop, and from there he steadily grew the business through skill and hard work. Today Stellisons have seven stores across Essex and one in Ipswich. Two of Tony’s four children, Mark and Steve, continue to run and develop the family business with the same skill and clever decision making of their father. Tony would be so proud of the way the business has continued to grow and prosper.